One year, doctors are saying kids should only be allowed to have 2 hours of screen time per day. But the next year, experts say screen time doesn’t necessarily need to be pared down to 2 hours. Instead, parents should use common sense about digital media. Along the same lines, doctors used to say fruit juice was OK after 6 months of age. But now, parents are told kids shouldn’t be given juice until after their first birthdays. The changes to parenting guidelines can be confusing and downright frustrating. Parents who try hard to follow safety regulations, feed their kids the healthiest diet, and follow doctors’ recommendations may struggle to keep up with the constant changes. Think back to your childhood. There’s a good chance you didn’t sit in a booster seat or wear a bike helmet. But over the years, it became clear those safety measures could go a long way to preventing injuries and deaths. Guidelines stem from the most up-to-date research. And as research evolves, so do the latest recommendations from pediatricians. New guidelines continuously emerge as technology unfolds too. After all, your parents probably didn’t have to worry about how much time you should spend on a smartphone when you were young. Setting limits on electronics is uncharted parenting territory and the rules will continue to change. Scientists need to study the long-term effects certain things have on children. So even though spending too much time behind a screen may not take an immediate toll on a child, could it affect his long-term brain development? As researchers gain more knowledge, the guidelines will likely continue to progress. You’re likely to see a lot of online articles, social media commentary, and magazine features touting parenting advice. But it’s likely much of that advice isn’t based on the latest research studies. So it can be difficult to know who you should trust and what advice you should follow. Of course, your pediatrician can be a wealth of information. Whether you’re questioning when you should start swim lessons for your child or you aren’t sure if you should give your child whole milk, your child’s pediatrician can answer your questions. But if your child doesn’t have a doctor’s appointment in the near future, or you want an answer right now, you may need to turn to an online source. And it’s important to find reputable websites that offer you advice from health experts. The best website to answer your questions is HealthyChildren.org, which is owned and operated by The American Academy of Pediatrics. The website offers the latest resources on the health, safety, and well-being of infants, children, adolescents, and young adults. You can find the latest information on anything from vaccinations to exercise recommendations for kids. The news page provides updates on parenting guidelines, the newest research, and pediatricians’ statements on current events. It’s the best way to stay informed about changes to the current recommendations for kids. When you’re reading the headlines or watching the news, it can feel like every expert has a completely different opinion on everything ranging from when to give kids fluoride and when to introduce them to peanuts. And while there are differing opinions on safety and health issues, the American Academy of Pediatrics offers information based on the latest research. And their recommendations are based on guidelines that are developed by teams of pediatricians. So expect ongoing changes. Know that what you were doing last year may no longer be recommended this year. It's important to remember, however, that this doesn’t mean you were doing anything inherently dangerous or unhealthy before. It just means researchers have discovered practices that may be even better for kids. If you have a question about whether you should change your parenting practices to comply with the latest recommendations, ask your child’s pediatrician. When you uncover new guidelines—whether it’s about vaccinations or Vitamin D—you may want to educate other parents on the latest recommendations. Of course, not all parents will be interested in hearing your new-found knowledge. If a parent shows interest in learning more, offer to share a link to the article or the latest research study. Avoid lecturing or criticizing other parents for not following the latest guidelines. Parents have a right to do what’s best for their kids and their families, even if it isn’t in line with what pediatricians are recommending. No parent is perfect. And social media shouldn’t turn into a contest about who can look like the best parent on Facebook or Instagram. So use social media as an opportunity to support one another, rather than shame each other. While your child isn’t likely to suffer long-term consequences because Grandma spoiled him with a few more sugary treats than you’d allow, there are some safety issues you should make sure your caregivers address. Your mother-in-law may insist her babies always slept on their stomachs. So you may need to show her the guidelines that say babies should sleep on their backs to prevent SIDS, and insist she follows them when she puts your child down for a nap. Or, if your grandmother insists on digging out the walker you used as a baby, let her know walkers aren’t recommended for babies any more. You might even show her the reports of injuries associated with infant walkers, or bring over a stationary activity center for your baby to play in instead. If you’re leaving your child in someone else’s care, make your expectations clear. State that you expect others to follow certain safety guidelines, regardless of whether they agree with them. It’s your child and you get to make the rules. 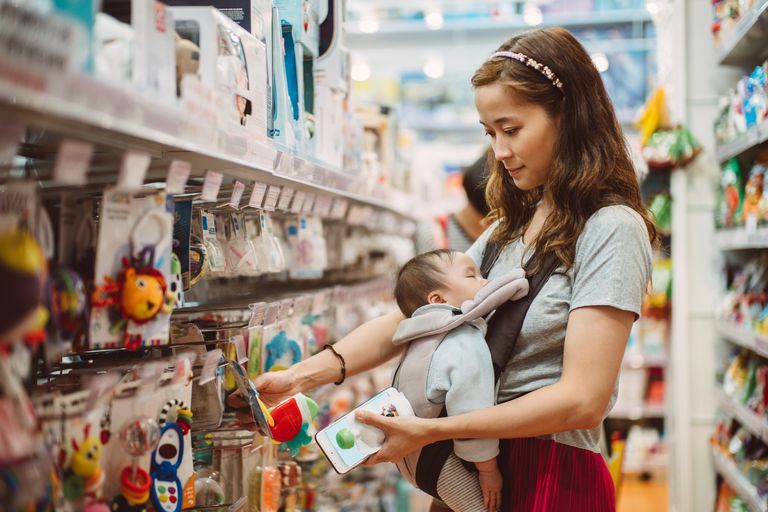 Similarly, other parents may feel compelled to share their experiences with pacifiers, car seats, and baby gates if they see you’re doing things differently. And be prepared to be called neurotic, paranoid, and a health nut. Remember that you get to set the rules. If you want to insist people wash their hands before picking up your baby or that they not smoke around your children, say so. Although someone may occasionally grow offended or say something rude in response, trust in the fact that you’re taking steps to keep your child healthy and safe. AAP News: Weighing in on fruit juice: AAP now says no juice before age 1. American Academy of Pediatrics: American Academy of Pediatrics Announces New Recommendations for Children’s Media Use. American Academy of Pediatrics: Kids Should Not Consume Energy Drinks, and Rarely Need Sports Drinks, Says AAP. HealthyChildren.org: Baby Walkers: A Dangerous Choice.